Our vintage industrial wall shelf is an elegant solution for when you have run out of floor space, but still have lots of things to organise! 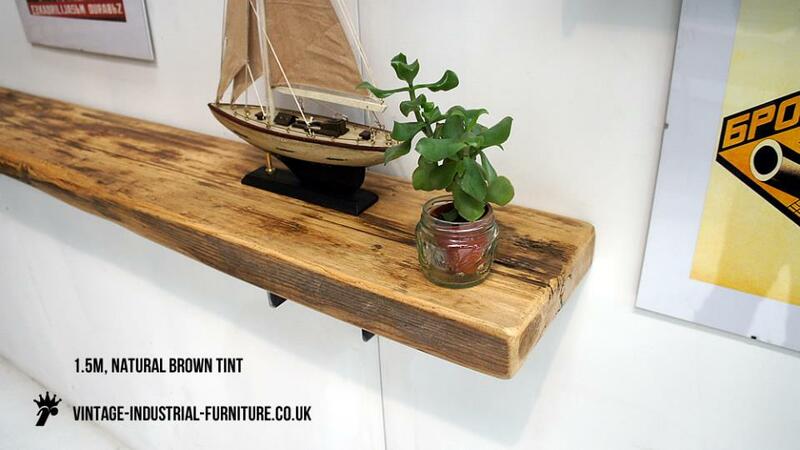 The shelf itself is made from solid wood, whilst the brackets are steel. 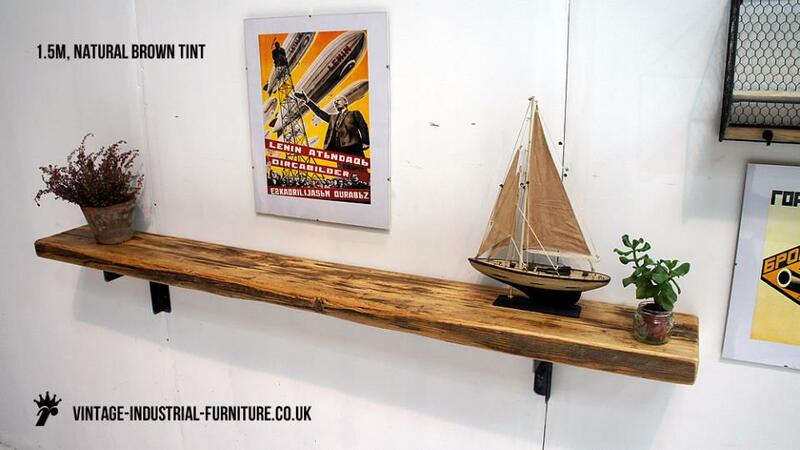 There is considerably more warmth and character in a vintage industrial wall shelf from our range compared to a standard item found in many stores.